This entry was posted on Tuesday, March 30th, 2010 at 4:55 pm	and is filed under Crosswords, iPhone, News. You can follow any responses to this entry through the RSS 2.0 feed. Both comments and pings are currently closed. Looks great and I can’t wait to try it out! How about a screen snap showing a puzzle with the on-screen keyboard? 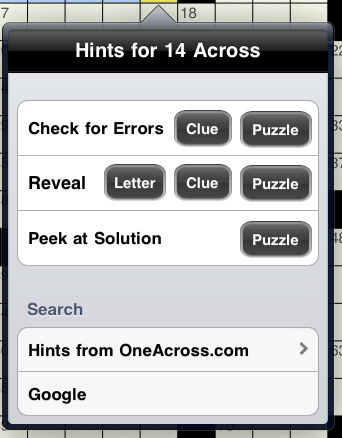 Will purchasers of Crosswords for the iPod Touch or iPhone have to buy it again for the iPad or is the original purchase considered a universal license? 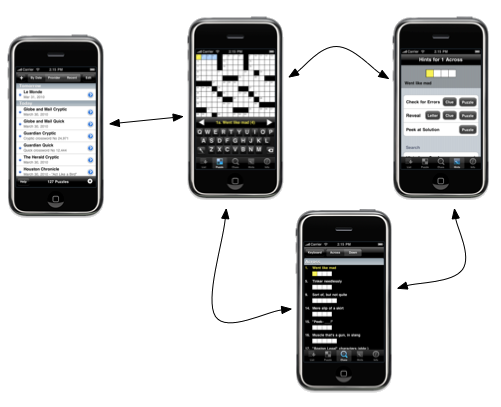 Yes, Crosswords for iOS is a universal app, and will run on iPhones, iPod touches, and iPads. Thanks Ben, but the important question is will I have to re-purchase Crosswords if I buy an iPad? As long as you use the same Apple ID (ie. the same iTunes account), you will not have to purchase another copy. Terrific. 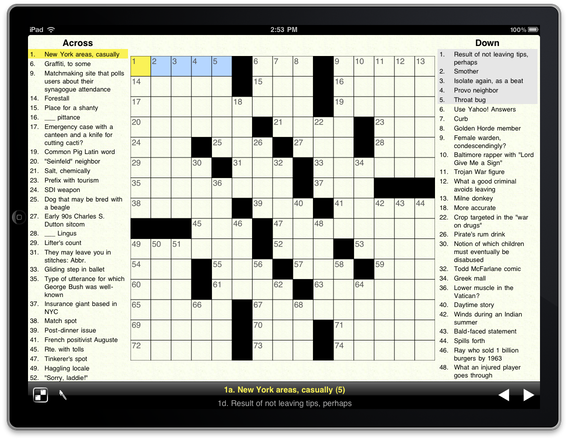 I really am looking forward to getting the iPad so I can stop squinting when I do the Crosswords. Thanks again. If the problem persists, please email us at sales@standalone.com so we can assist you further. Thanks! The formatting on the iPad is completely messed up for Sunday puzzles. The keyboard is always covering a portion of the puzzle but I can’t move the puzzle out of the way. Therefore it’s almost impossible to work on the bottom portion of the puzzle. Please fix this. Are you using the split (and re-positioned) keyboard on iOS 5? There’s an incompatibility between this keyboard position and Crosswords. The current solution is to exit Crosswords, and dock the keyboard to the bottom of the screen in another app, then re-enter Crosswords. You can also turn off the custom Crosswords keyboard in your Crosswords setting. We’re working on a better solution.